This Thanksgiving, Jim Carrey wants people to know that turkeys can be dangerous — and he’s not talking about the recent salmonella outbreak. 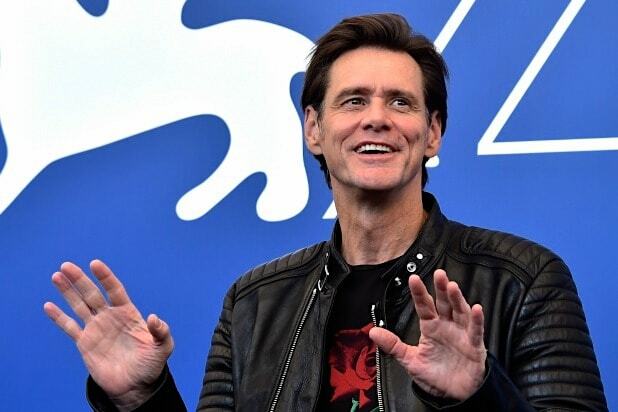 Actor-artist Carrey gave his Twitter followers something to be grateful about on Wednesday, gifting them with his latest political cartoon, this time with a Thanksgiving theme. Carrey’s latest work is a fairly whimsical offering — though it does touch on the heavy topic of gun violence. The “Kidding” star’s piece depicts a camouflage-patterned turkey, bearing tank-like treads. We’re guessing it’s probably pretty handy in gaining the upper hand during political arguments around the dinner table, too.